Delighted that Beti and David: Lost for Words is a finalist at the New York Festivals TV & Film Awards. A testament to Beti’s work & a tribute to David whose own life in broadcasting inspired so many. Lovely review in the Daily Telegraph for ‘Beti and David: Lost for Words’. The response to the programme has been overwhelming for all involved. Beti George let the cameras into her home to show people what it is like caring for a partner with dementia. She always intended her story to represent the thousands of carers across the UK who are looking after a loved-one. The film was first shown on BBC Wales, and was shown in England, Northern Ireland and Scotland last night. It will be on the BBC I-Player for the next 30 days. Eighteen years ago, the filmmaker Paul Watson made a ground-breaking documentary about Alzheimer’s called Malcolm and Barbara: A Love Story. It portrayed a wife caring for a husband as he gradually disappeared into the disease’s personality-erasing maw. Ten years ago, Watson went back to film Malcolm’s last days and, controversially, his death. Alas, as seen in Beti and David: Lost for Words (BBC One), the story has not moved on. For anyone who knows their Welsh rugby, David Parry-Jones was a familiar camel-coated figure whose voice described Llanelli’s famous win over the All Blacks in 1972. His wife Beti George, who hosts a weekly show on Radio Cymru, is a bastion of Welsh-language broadcasting. David was diagnosed with Alzheimer’s in 2009 and ever since has been losing those faculties which made him a consummate communicator. One of the first signs was his reluctance to check over documents Beti composed in English, her second language. Now he emits percussive hoots while the words get blocked in his mouth. Putting him to bed can take three hours. The demoralising business of cleaning up after him never stops. Beti doesn’t want to put him in a home, but worries about the lack of joined-up support for those with Alzheimer’s. Beti and David: Lost for Words was shown on BBC One Wales last month, and nominally addresses the lack of available support in Wales. But it has a wider application as a moving portrait of love, loss and kindness. Beti travelled to Scotland, where developments in care are more advanced, to try out a simulation kit which mimics the inhibiting impact of Alzheimer’s on balance, vision and manual dexterity. She returned home better informed and, although this seems impossible, even more patient and understanding. As the nation ages, there will only be more of this. The more people that watch this profound film on the iPlayer the better. Beautifully filmed by director Will Davies, it illustrated the consoling Larkinesque idea embodied in David’s enduring kisses and cheerful smiles: when everything else has evanesced, all that remains of us is love. There has been an incredible reaction to ‘Beti and David: Lost for Words’, an hour-long film broadcast this week on BBC One Wales (and still available on the BBC iPlayer). Filmed over the course of many months, the film is a record of two people facing a terrible illness together. 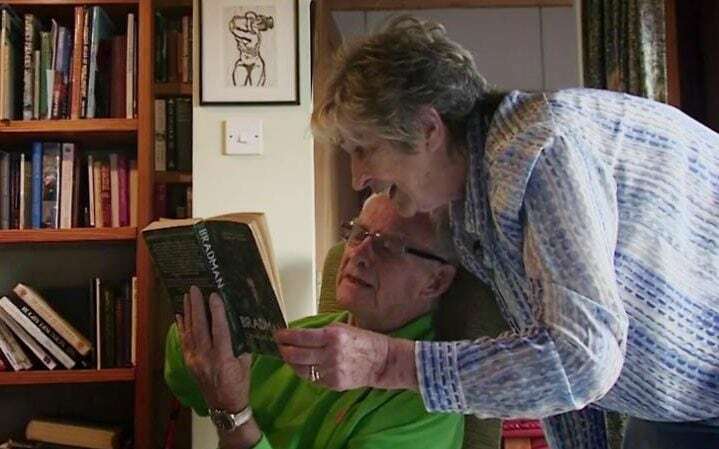 Since David’s diagnosis with Alzheimer’s, his long-time partner Beti has become his carer. The reaction on Twitter, Facebook and elsewhere showed that the couple’s story struck an emotional chord with many. David Parry-Jones was once one of the best-known faces in Wales – a news broadcaster and the voice of Welsh rugby during its glory days in the 1970s. Beti George is still a broadcaster. Now she juggles her working life with looking after David and with campaigning for a better life for carers. Through Beti’s experience the film reveals the challenges and frustrations faced by tens of thousands of carers across the UK, and questions the way society supports dementia carers. Beti’s message is clear. ‘We need a revolution in dementia care’, she says. Rob Webb’s sister, Laura, was murdered in the July 7 bombings. As he grieved Rob, a well-known PR officer in Wales, found himself at the centre of the biggest news story in the world. Rob is in London today, remembering Laura and the other victims. I found this interview with him in my archive. In it, he discusses Laura, the bombers and how his PR skills helped him deal with the media in the aftermath of the terror attack. After the London bombings Rob Webb spent days doing media interviews in a desperate search for his sister. He tells Greg Lewis how it felt to mourn her death under the glare of the media spotlight. MOHAMMAD Sidique Khan made his horrific mark on the world at 8.51am on Thursday, July 7. That morning he got up to kill as many people as he could and to change the lives of hundreds more. Among them, Rob Webb and his family. Rob arrived at work that day at the usual time, around 8.30am. He spent the first hour going through emails at his office in Cardiff’s County Hall. At 9.30am he attended a daily briefing and got back to his desk by 10am. On the internet he read the first reports about a ‘power surge’ on the London Underground. Trains were being stopped and stations evacuated. Like many others Rob thought of friends and family in the city. He wondered about his sister, Laura, a personal assistant in central London. He rang her mobile phone but it went to voicemail. “There was no way I could know it but Laura was already dead,” he says now. As the full horror of what was really happening became clear, Laura’s family began their desperate search for their loving sister, daughter, girlfriend. Thinking she could be lying unidentified in a hospital or walking around the city in a daze, they began a massive media campaign – and public relations man Rob found himself at the uncomfortable heart of an international news story. The family’s fears were already growing by lunchtime on the day of the bombing. Laura had neither got to work nor returned to her home in Islington. She was not the kind of person to forget to call: she knew people would be worried. Rob – who lives in Cardiff – contacted the missing person’s bureau and then, after a discussion with brother David, decided to make an appeal through the press. Over the next week, the 39-year-old, who writes press releases everyday, had to write the two most heartbreaking of his life. “At 6am on the Friday I wrote a press release saying Laura was missing and sent it out with a photograph taken at Christmas,” he says. “It showed her smiling, a happy beautiful woman. It would be used on television and on the front of a national newspaper. Rob distributed the picture through his contacts in the Welsh media and then, through a friend, to the newsdesks of newspapers and television stations in London. On the Friday, as well as featuring on the front of the South Wales Echo, he began to do interviews for the London press. “In these situations you look at what you can do,” says Rob. “Often when it comes to helping your family PR comes fairly low down the list of skills – it’s not like I’m a plumber or something. The brothers spent an hour-and-half outside King’s Cross – the unofficial meeting place for desperate relatives and journalists – on the Saturday, speaking to UK and then foreign crews. Some British crews drove David around from hospital to hospital. “We would hear rumour after rumour and we followed them all up,” he explains. In the meantime Rob’s family – including his parents and Laura’s partner Chris Driver – were appointed family liaison officers by the police. Rob says the officers are amazing and he remains in contact with them now. “However, the longer time went on, when the police would call, we felt it was more and more likely they would be bringing bad news,” he says. It was at 6pm on the following Wednesday that the police arrived at the family home in Kingston-on-Thames, where they have lived since the early 1970s, to bring the news they had dreaded. Using a DNA swab from her parents, the police had identified Laura. The bomb at Edgware Road carried by Khan – the ‘quiet terrorist’ who worked with special needs pupils and deprived teenagers in his home community of Leeds – had killed the 29-year-old instantly. The police then drove Rob to break the news to Chris. Rob then had to sit down and write his second press release of the week, confirming the death of a “kind, loving and beautiful” young person – their Laura. Fifty-two innocent people died in the four explosions on July 7 in London. Seven hundred were injured, with many left with horrific wounds. In the weeks since there has been much debate about what caused the first suicide attack on British soil. The invasion of Iraq – which Rob now reveals Laura marched against – has been blamed. Rob, though, is emphatic: “The only people responsible were the people who carried the bombs and the ones who supported them. “It’s too simplistic to say the bombings are about Iraq. The bombers aren’t showing any interest in innocent Iraqis that are dying. A million people marched against the war on Iraq but a million people aren’t going out suicide bombing. “Laura cared about moral rights and wrongs. She actually went on the march against the Iraq war. I’ve never spoken about this because I knew the news angle would be: ‘the tragic irony’. “Well, no, it’s not irony. The bombings were indiscriminate. It doesn’t matter if Laura was in favour or against the Iraq war. The fact is she got up in the morning, went to work and got killed on the way there by a maniac. Rob – who had announced his engagement to Bethan only weeks before Laura’s death – knows there are still tough times ahead for the family. A National Memorial service in November. Christmas, Laura’s favourite time of year. The anniversary of her death and of her private funeral on July 22 (which 500 people attended). But they have been sustained by a faith in God and in humanity. …But here’s what Hywel did. Six-year-old Brecon Vaughan is to undergo a life-changing operation this week thanks to the generosity of a young man left paralysed after a road accident. Dan Black donated more than £20,000 to Brecon’s fund and helped his family meet the costs of the operation in the United States. 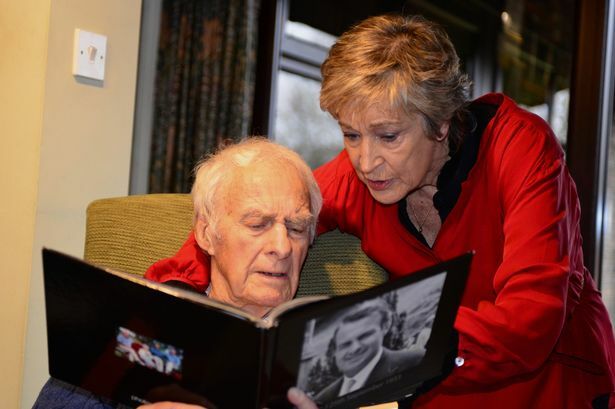 Dan’s gift of hope to Brecon marks the latest chapter in a remarkable life. Wales This Week has been filming with Dan, aged 26, of Llanvair-Discoed, near Chepstow, for more than three years. Our cameras have followed the highs and lows of his struggle and recovery. Tonight we bring the story up to date as Dan goes to London’s Park Lane for the glitz and the glamour of the Pride of Britain Awards. The funny and inspiring Joe Holloway describes life with Tourette’s Syndrome. 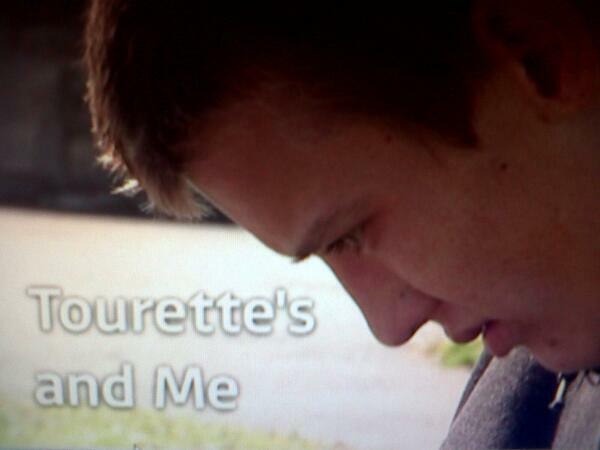 Watch Joe’s film, ‘Tourette’s and Me’, here.